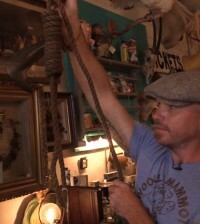 This week’s edition of strange and amazing things you can buy online right now (unless they sold sometime after this was posted) comes from a couple of my favorite shops, as well as a few new ones I just stumbled across. 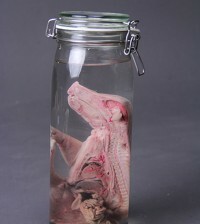 Dust off your shelves and make room in your cabinet of curiosities for these bizarre and unique pieces. 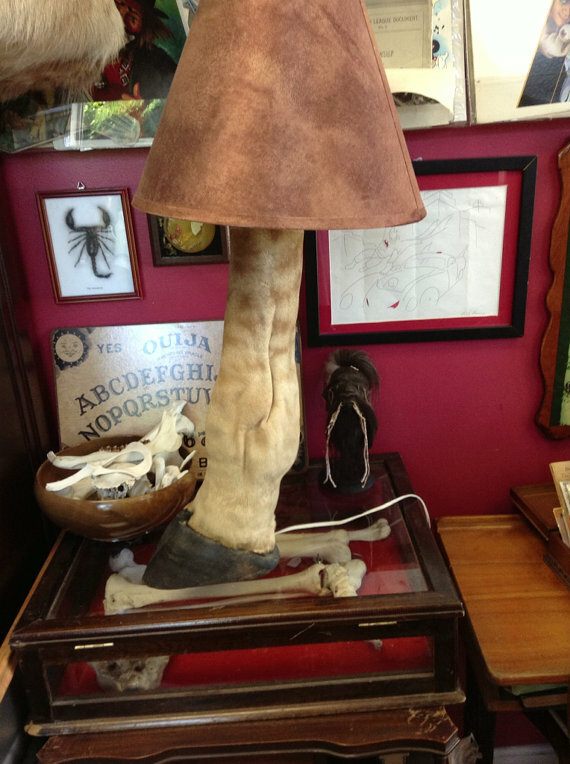 This is a one-of-a-king original taxidermy giraffe leg lamp from Pandora’s Box in Milford, MA. You can find this in their Etsy shop right here. 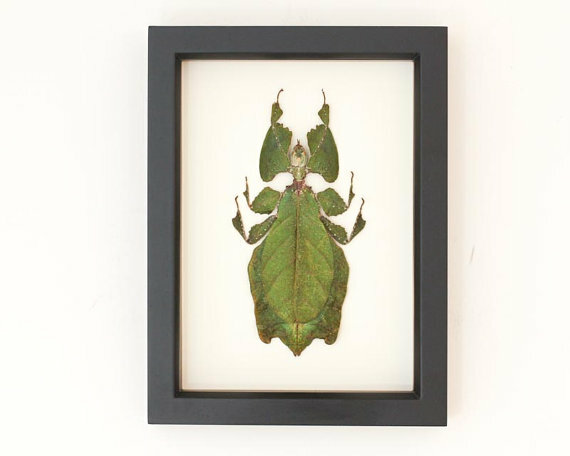 An expertly preserved Phyllium giganteum walking leaf insect display from Bug Under Glass. I will have one of these someday! You can get this one here. 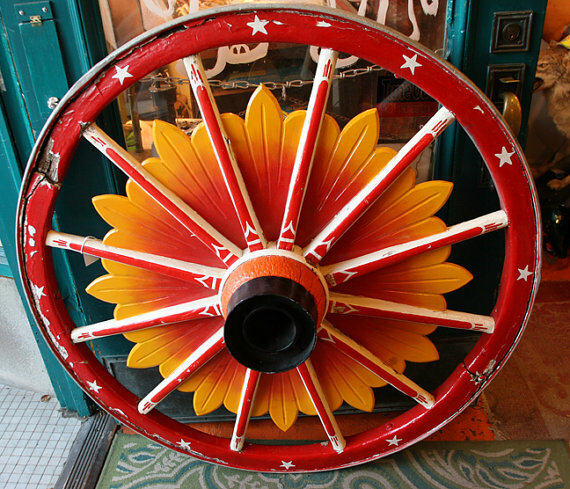 An antique circus wagon wheel dated no later than the 1930s from Woolly Mammoth in Chicago. It is available on Etsy here. 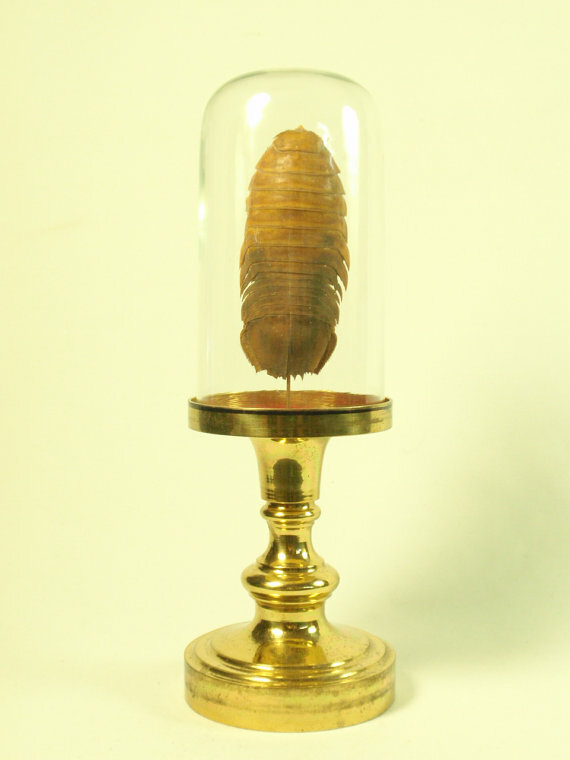 This is a mummified deep water isopod from a shop I just discovered called The Curioddities Cabinet. This amazing little specimen is available here. 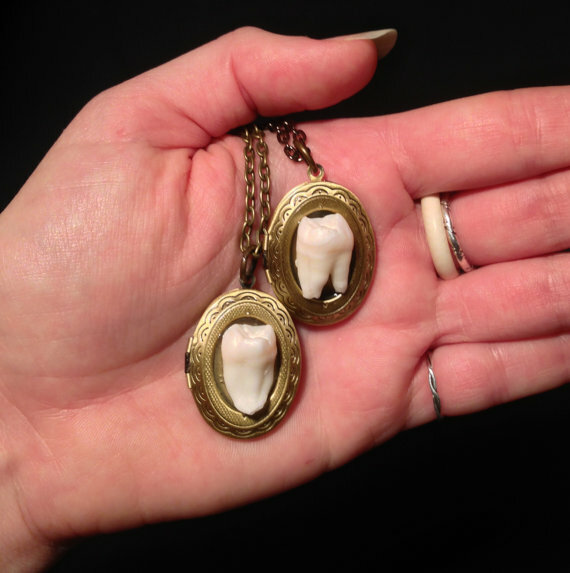 These locket pendants are handmade by Bonelust Studio with real human molars for her Tooth Fairy line of jewelry. Get yours here. 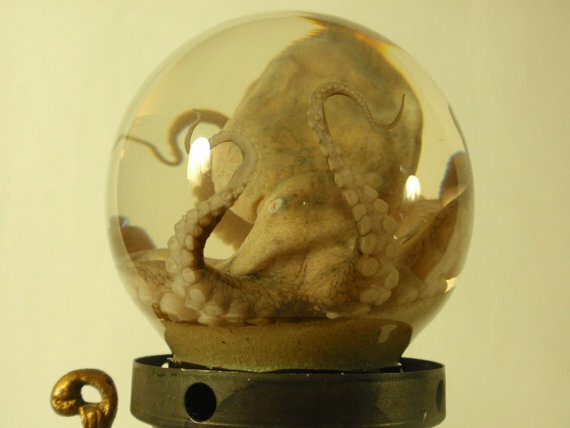 Another great piece from The Curioddities Cabinet: a wet specimen octopus positioned inside a glass globe on an antique Victorian medicinal vaporizer. Get it right here. The Octopus is so cool!